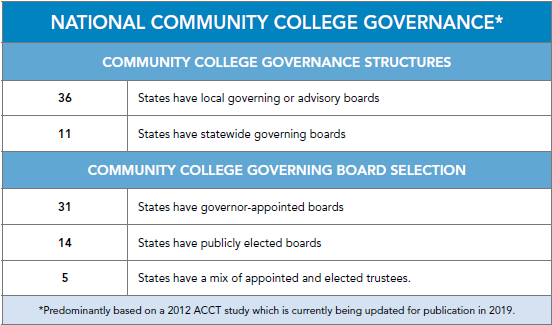 Community college governance through statewide systems is highly complex and highly differentiated across the country. While there is greater unity, focus, and familiarity among state board members, state systems are also highly dissimilar from each other. Bound by location, population size and mix, history and culture, and by state statutes, statewide governing boards, commissions and councils embody different layers of governance and oversight to their campuses. Each state system has a distinct history and a different lexicon; each is unique in how it operates and varies in the scope of its governance. Prompted by a grant from the Strada Education Network, ACCT has explored and worked with several community college governing state systems via the Governance Institute for Student Success (GISS) institutes. This article is the first describing the nation’s statewide community college governing systems. While there are approximately 11 states with statewide governing boards, featured here are just a few to sample the complexity. Rhode Island’s eight-member Council on Postsecondary Education has a commissioner who runs the Office of the Postsecondary Commissioner. Washington state’s 34 pubic community and technical colleges have local governing boards but are co-governed by the nine-member Washington State Board for Community and Technical Colleges (SBCTC), which is headed by an Executive Director. The Kentucky Community and Technical College System (KCTCS), which was formed by combining the 14 community colleges of the University of Kentucky and the 15 technical institutes in the Kentucky Workforce Development cabinet, is headed by a system president and governed by a 14-member Board of Regents. Statewide systems have wide ranges of oversight. Names for these statewide governing boards, commissions, or councils often vary based on their scope of authority. 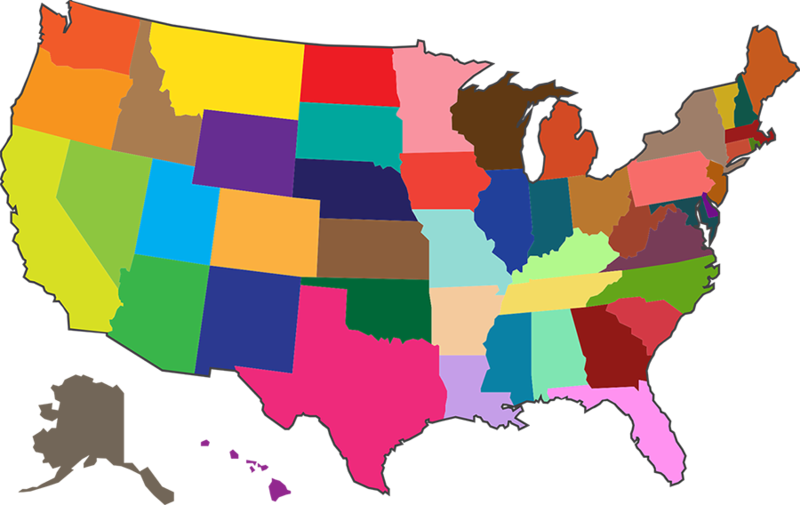 Some state boards’ authority involves governing (or coordinating) all postsecondary educational institutions within a state, including universities, community and technical colleges, and even K-12 schools. One example is Colorado’s State Board for Community Colleges and Occupational Education (SCCCOE), which governs both secondary and postsecondary career education and community colleges. A small number of states have a university system of governance. Minnesota’s 30 community colleges, along with seven state universities, are governed by the 15-member Minnesota State Colleges and University Board of Trustees. Georgia has 25 technical colleges and two two-year campuses under the University System of Georgia Board of Regents, as well as a 22-member Technical College System State Board responsible for standards, policies, and regulations for each of the technical colleges. New Mexico’s 19 community colleges operate under three separate university systems: four under the University of New Mexico Board of Regents, two under the Eastern New Mexico University Board of Regents and four under New Mexico State University Board of Regents. The other nine colleges are governed by two boards of regents and seven locally elected governing boards, respectively. Other varieties of governing oversight of community and technical colleges by universities exist to different extents. Examples of different statewide models follow. Like Indiana, Vermont’s state system has one community college, the Community College of Vermont, a statewide entity with 12 sites. The two governance systems are similar in that they both have a statewide governing board and a president of the community college, but in Indiana, the heads of those 19 college districts are called chancellors, and in Vermont the leaders of the learning centers (which tend to be fairly small) are called coordinators. “We’re unique. We are not just a community college,” states Tricia Coates, director of government affairs for the Vermont State College System. Vermont also has two four-year liberal arts universities plus a state technical college. The current system was set up in 1998 by statute. Each college has an advisory Board of Directors to deal with local matters. Among the statutory duties of campus boards: making recommendations for hiring a campus president, evaluating the president, approving a campus budget for later approval by the State Board, and approving the campus strategic plan so that it is aligned with the statewide strategic plan. Kentucky previously had a “disjointed” community college and technical college system that was part of the University of Kentucky. As vocational entities, the technical colleges were not accredited. “We now have a comprehensive system,” says Dr. Kris Williams, chancellor of KCTCS. She also added that a statewide agreement with a large manufacturing company (FAME Program) positively impacted all of the colleges’ advanced manufacturing programs throughout the state.